The first picture says it all! 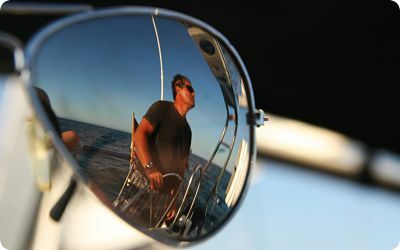 It's me sailing my Hunter 38, named 'The Whiskey Nancy'! Seeing this picture reminds me of the good times at sea! 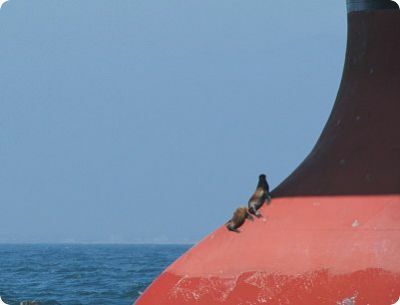 The second and third picture I've made when I spotted those seals having a rest on the bow of a huge anchored cargo vessel. Amazing how these animals climbed up that bow!! The last picture shows us the strength of nature. 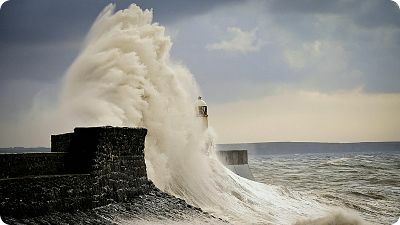 The power of that wave was immense! Join in and write your own page! It's easy to do. How? Simply click here to return to Your Best Sailing Picture!.